McLean Roof Repair and Replacement | Call (703) 345-0601 Now. Storms and extreme weather are serious problems for many McLean, Virginia homeowners. Ashburn Pro Roofing understands the havoc, stress and frustration that they cause, and our aim is quite simple: We want to make your life easier by providing outstanding roofing repair and r﻿﻿oof replacement for your McLean home. After bad storms in McLean, we respond quickly and thoroughly for repairs. We perform regular maintenance and roof repairs in addition to roof replacements. We offer quality roof repair workmanship and customer service in McLean. Our roofing repair and replacement company wants to restore your McLean, Fairfax County, Virginia roof system to its original condition for the best possible protection over your head. Call our roof repair company at (703) 345-0601. Dealing with insurance companies over roof repair can be a hassle. Fortunately, Ashburn Pro Roofing has been in the business for a long time and has extensive experience with insurers. Our Virginia roofer company will have at least one professional present for any insurance meeting on site. We’ll help you understand how claims are processed, and we advocate for you. One of the many benefits of choosing our roof repair and replacement services for your McLean, Fairfax County roofing needs is this: We are clean and tidy. We’re not one of those roofing contractors that leaves litter all over your yard. We don’t even leave behind construction debris, and we will not damage your landscape after our repairs. Our aim is to get the members of your McLean, VA household back in the swing of daily life as quickly as possible. In addition, we are very safety conscious. We don’t want anyone to be injured, so our measures include stowing equipment while we are off site. Everyone in your family should be safe. Our top-notch customer service extends to free roof inspections. Whether you’re dealing with storm damage or a huge renovation project for your McLean home or business, the inspections benefit us both. Our roof repair and replacement contractor company gains a thorough understanding of the needs and challenges of the upcoming roofing project, and you get to see our attention to detail up close. A professional assessment of your McLean, Virginia roof. The opportunity to discuss your concerns or roofing project needs. The chance for us both to come up with the best roofing solution. Inspections enable roofing projects to run smoothly, with the certainty that all issues have been identified and will be addressed. There will be no nasty surprises at the end. With Ashburn Pro Roofing, you get quality work instead of shortcuts from a trusted roofer company. You get safety instead of slipshod work. You come first. The responsibility of owning a home in McLean, VA can be overwhelming. You have to do your own maintenance, pay the bills and figure out what to do when problems arise. Read this article to learn more about how to approach roofing problems in Fairfax County. Look over your roof carefully at least once per year. Roofs tend to suffer the most damaged during winter months as well as spring and fall. Mow your McLean home lawn before the roofing contractor works on your roof. This will make it easier to find any nails that fall off the roof. If your roof repair contractor has a nail finder it makes the cleanup process easier and faster. There are several important questions that one should ask before the contract signing. One important question to ask is the amount of nails that need to be inserted into every shingle. Three nails doesn't cut it. Ask about the procedures that the roofing company will be using. If you don't like what the roof repair contractor says, continue looking. Make sure that the roofer company has adequate liability insurance. If the roofer does have insurance then that roofer is in fact are a reliable contractor. Secondly, if a contractor's worker sustains injury on the job, their insurance should cover any damages. Don't fix for your roof. It may be cheaper for now, but after a while it could cause more damage than it saves and that costs a lot of money. The best thing to do is to completely fix the problem as quickly as you can using a professional roofing services company. You can reach us at (703) 345-0601. 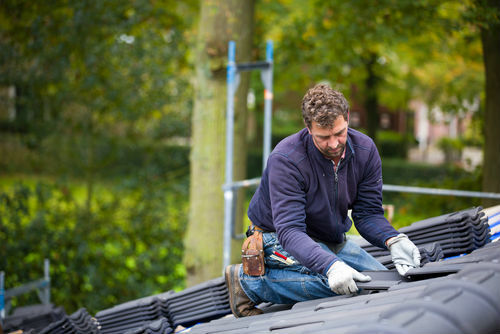 Whether you want to take on your roofing project yourself or employ a professional that does roof repairs, you first need to equip yourself with the right information. You have learned some valuable information from this article, and you need to continue to explore your options. Keep this advice in mind to make the best choices.